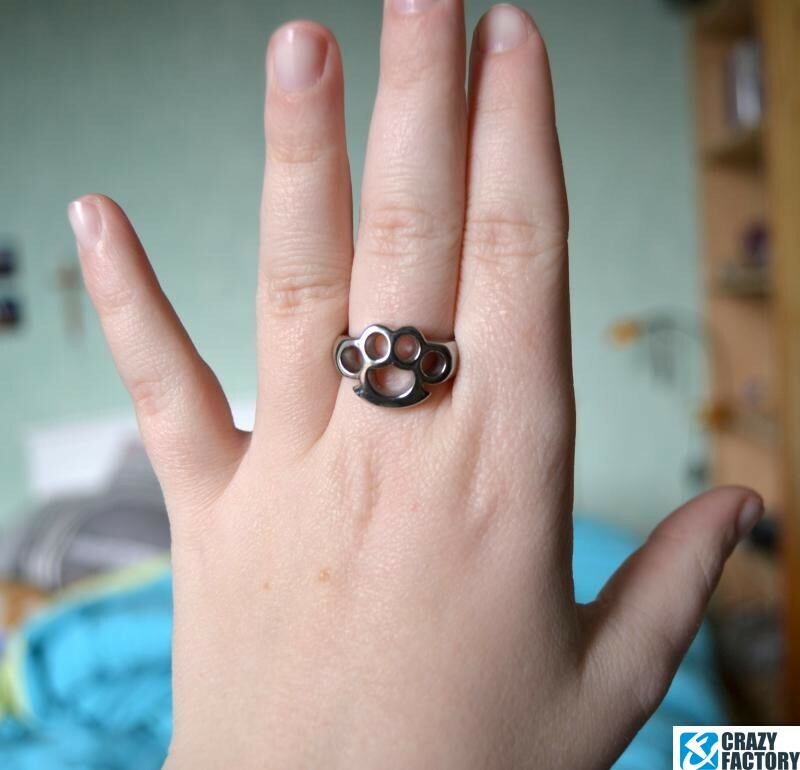 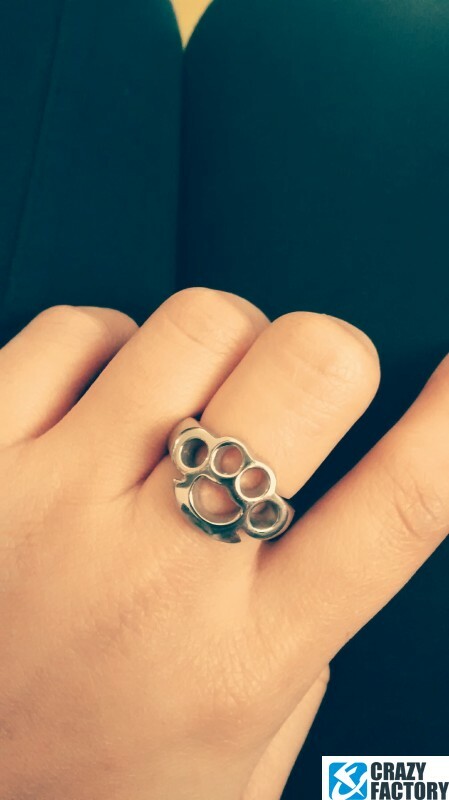 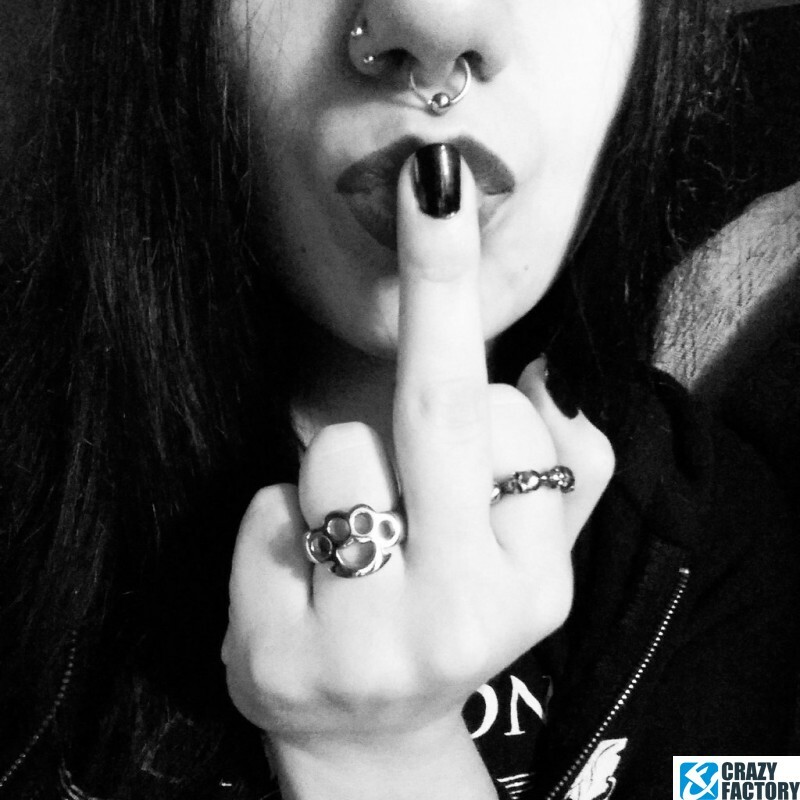 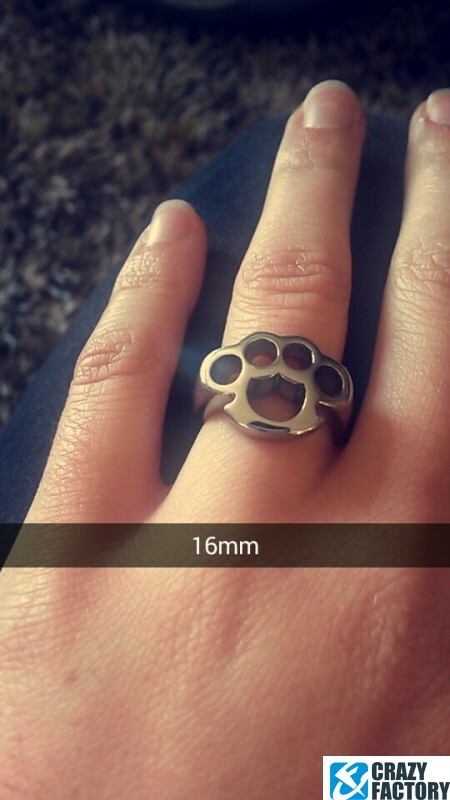 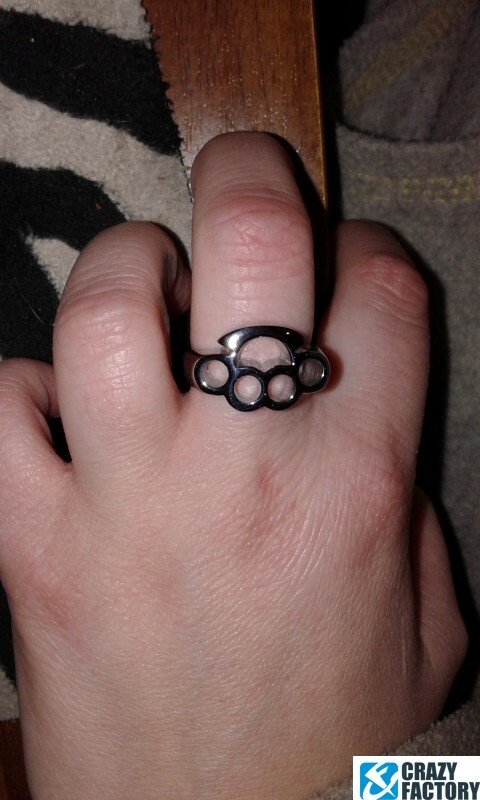 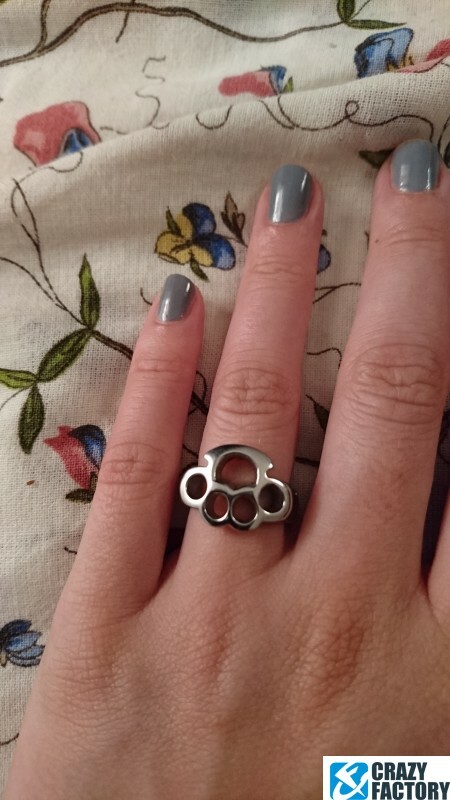 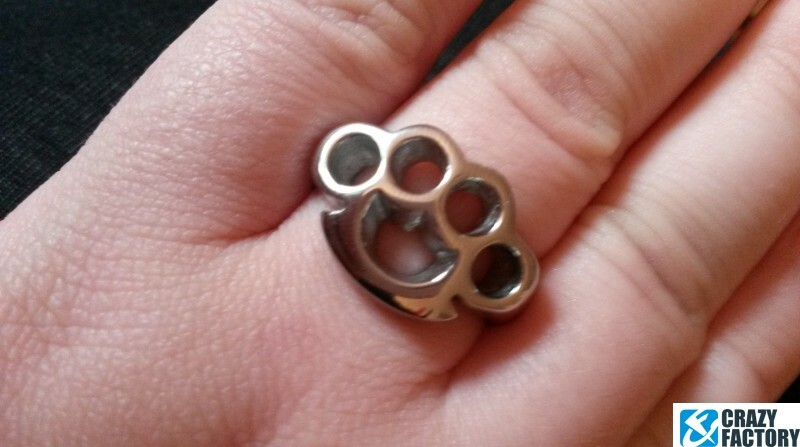 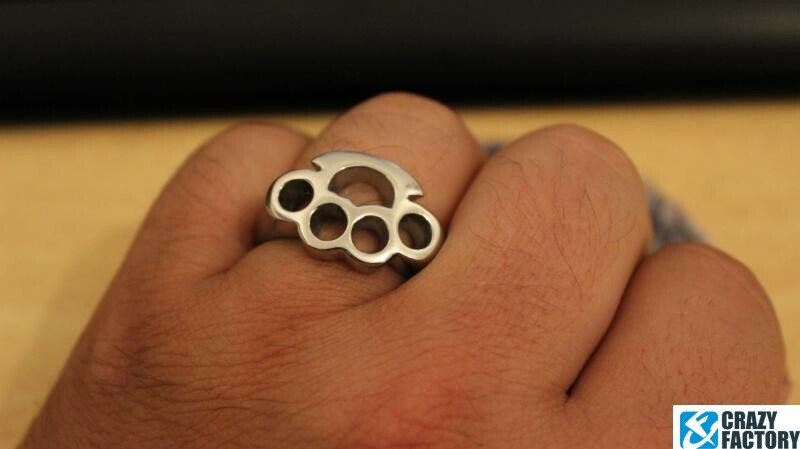 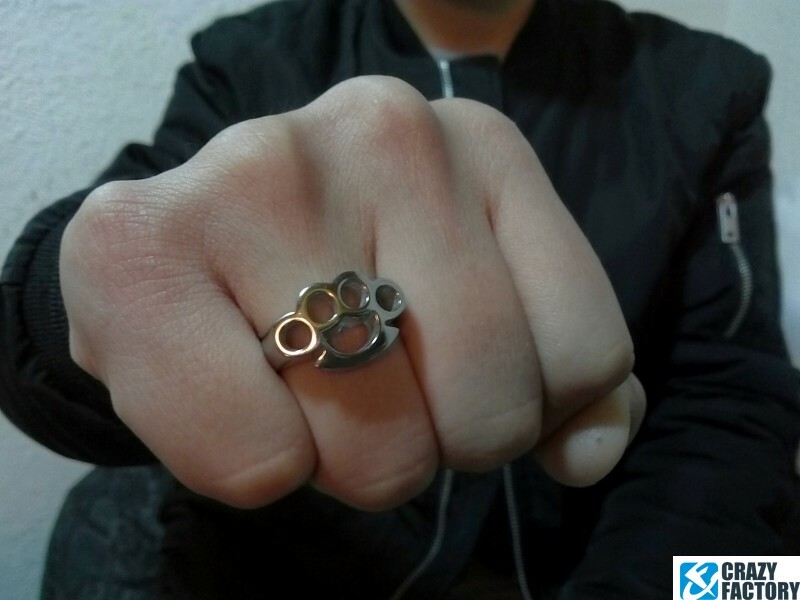 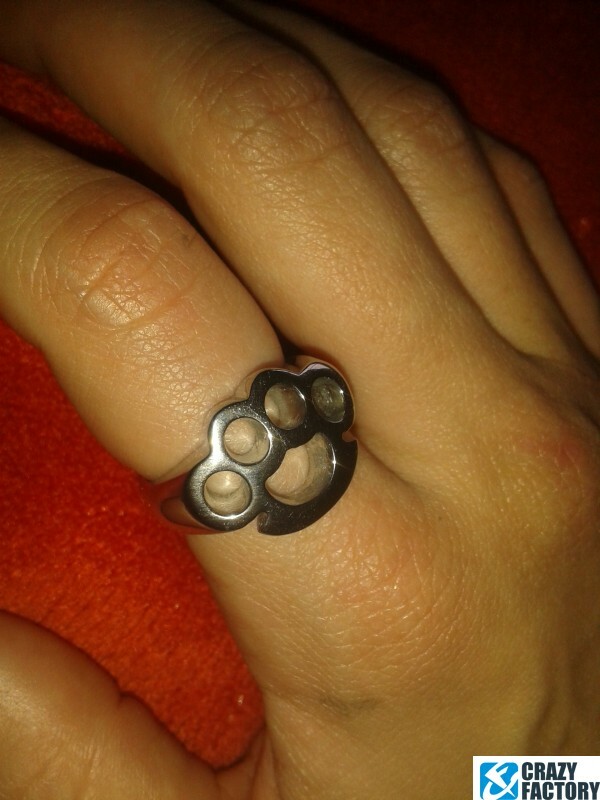 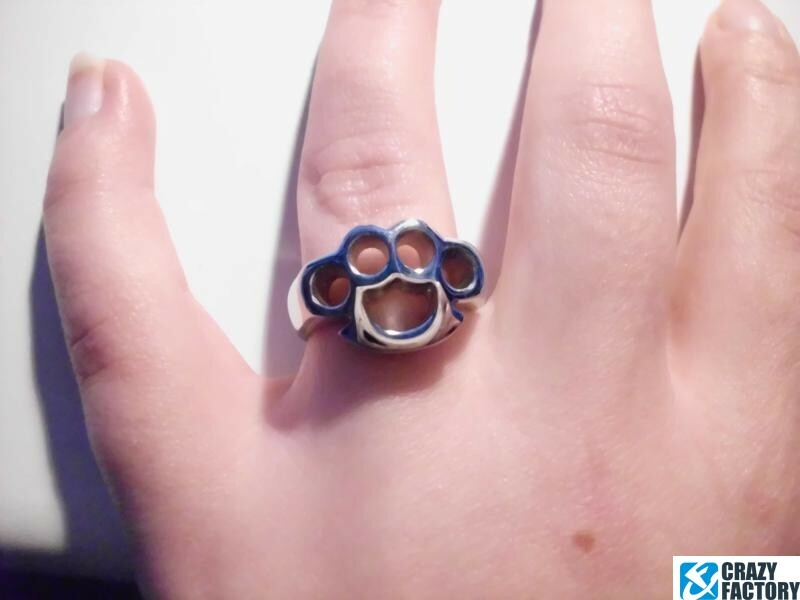 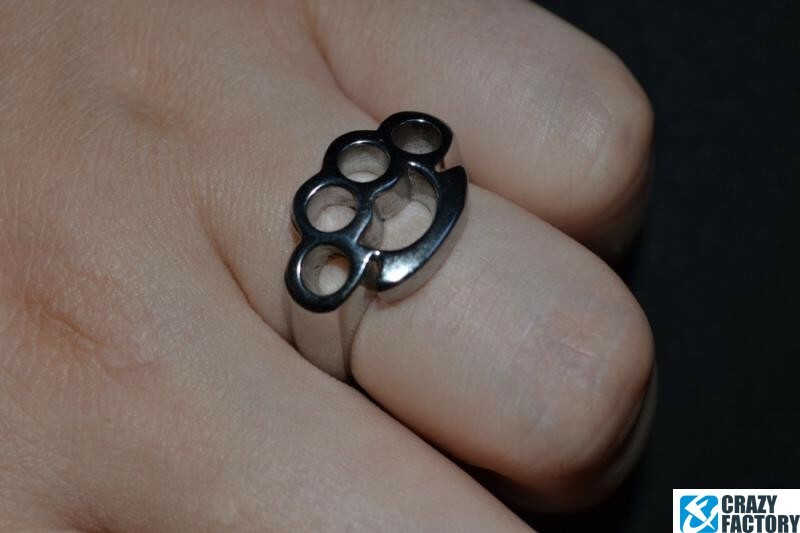 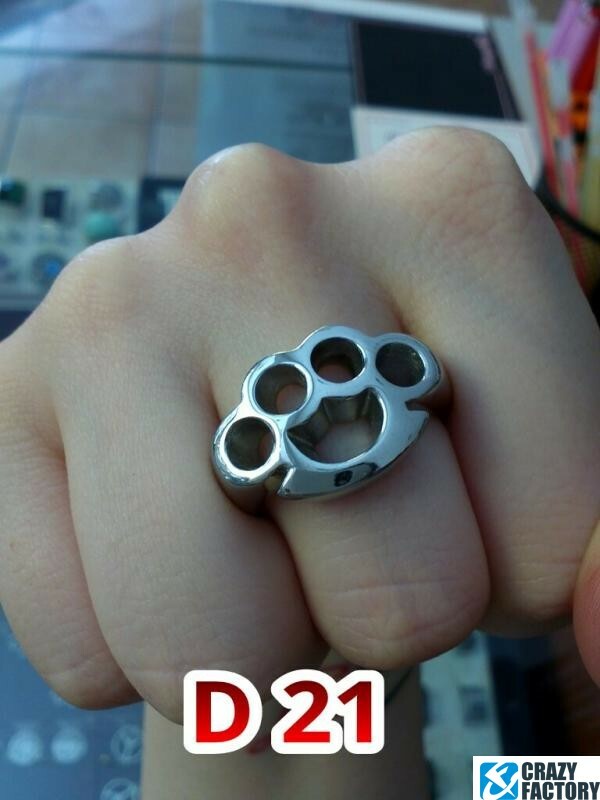 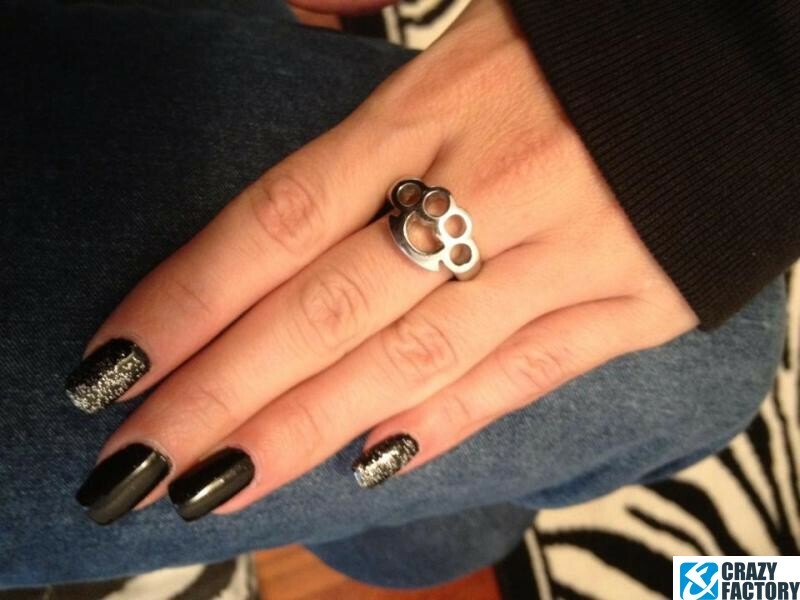 Miniature knuckle duster. 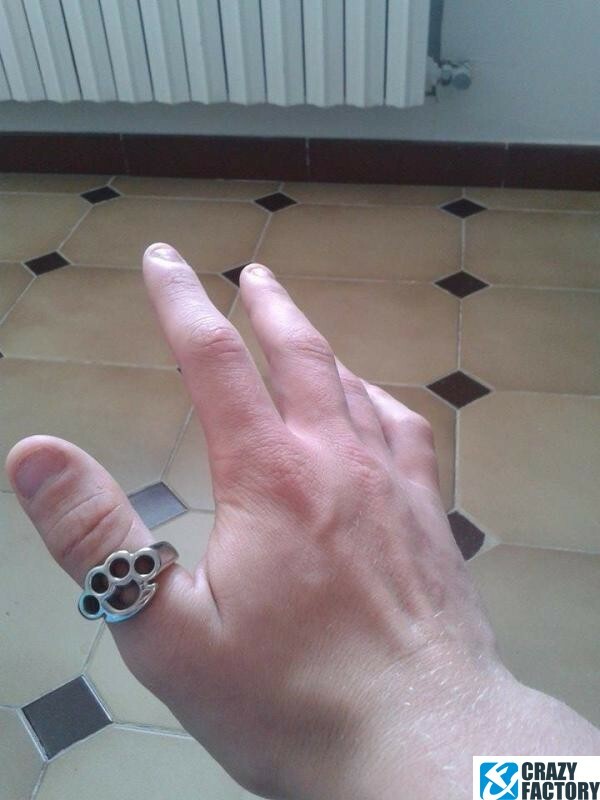 Not much of a threat but a stylish eye-catcher. 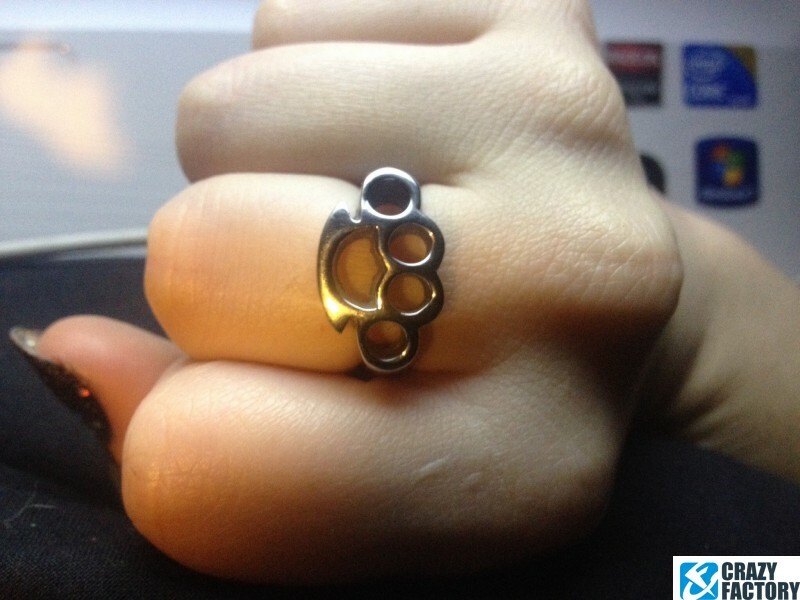 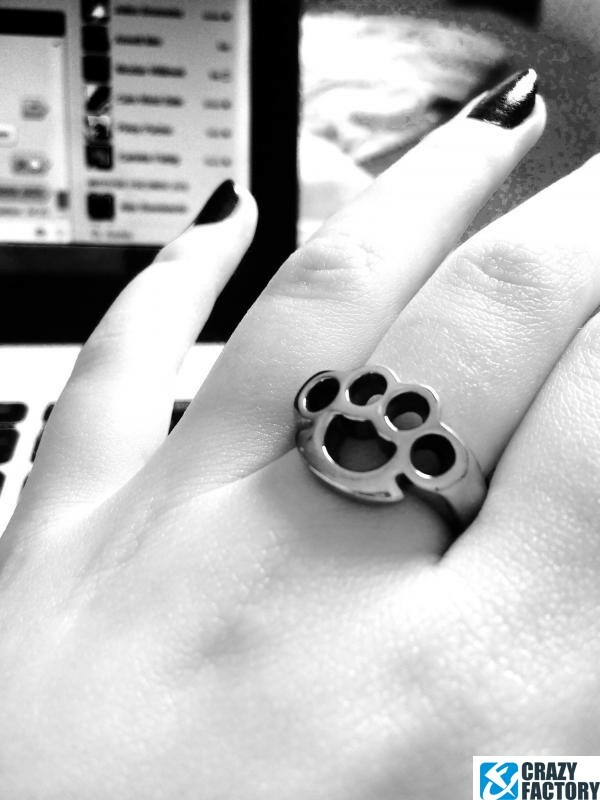 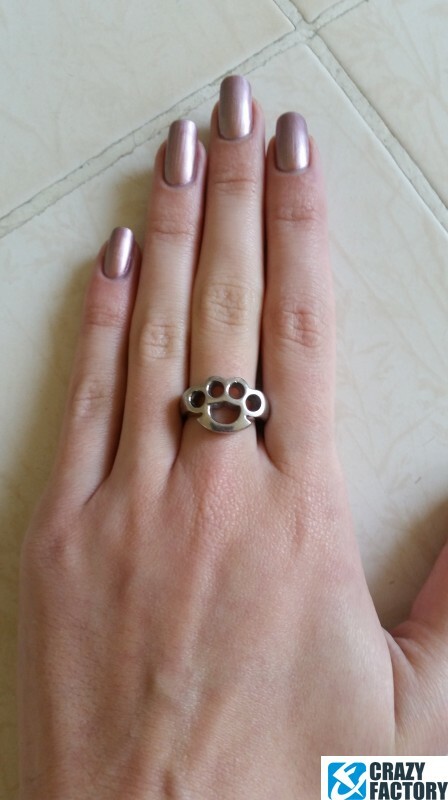 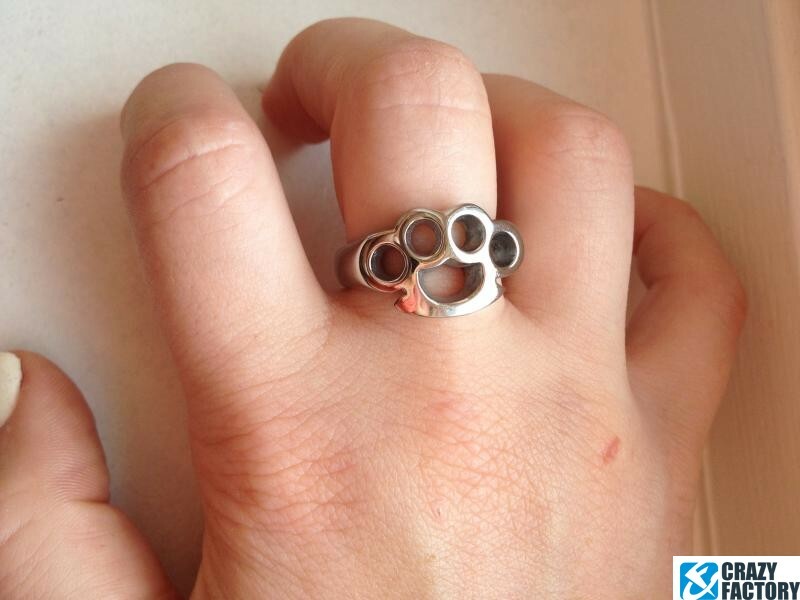 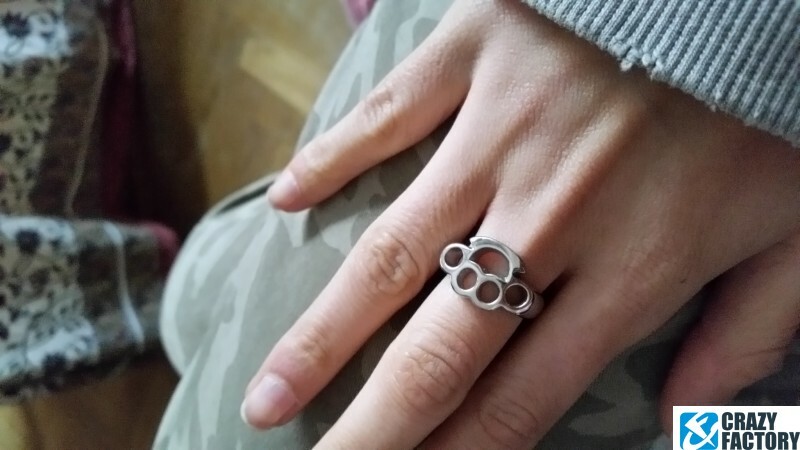 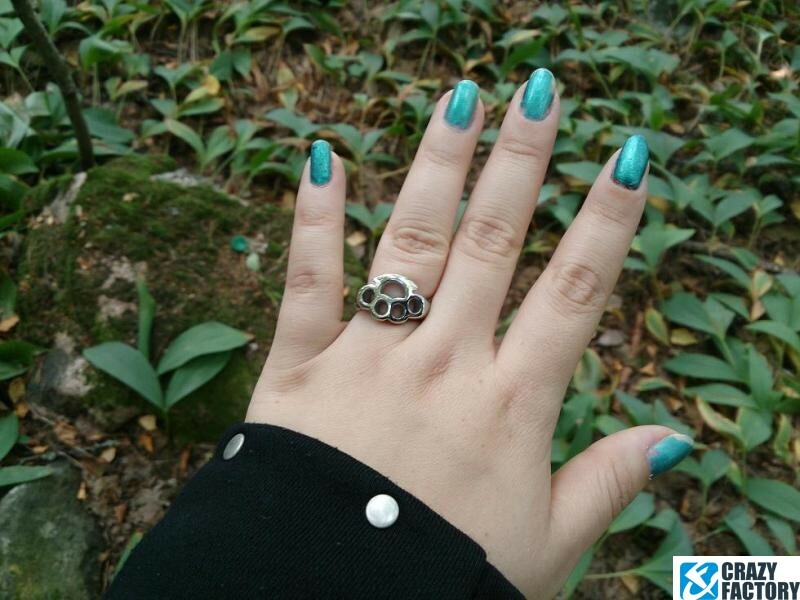 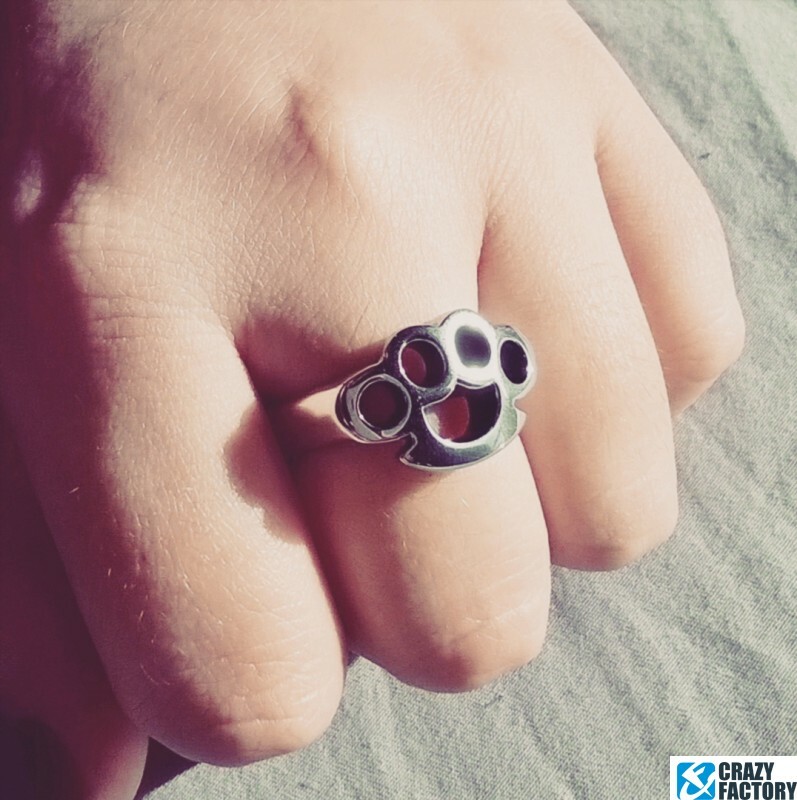 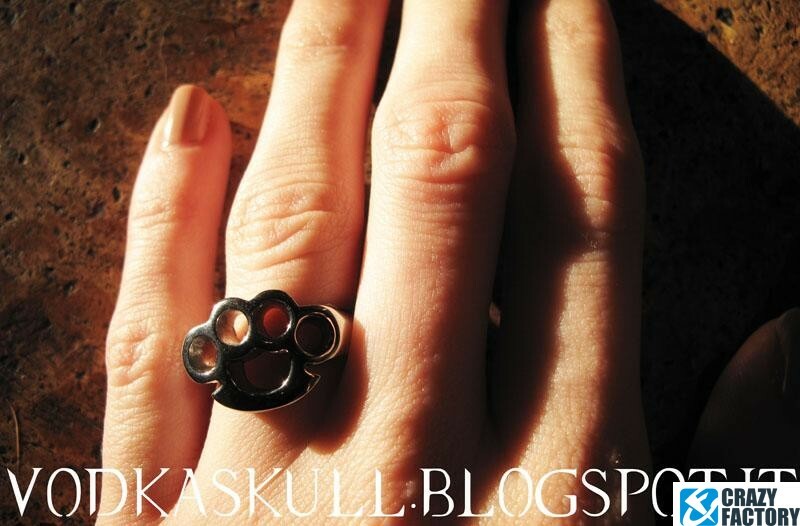 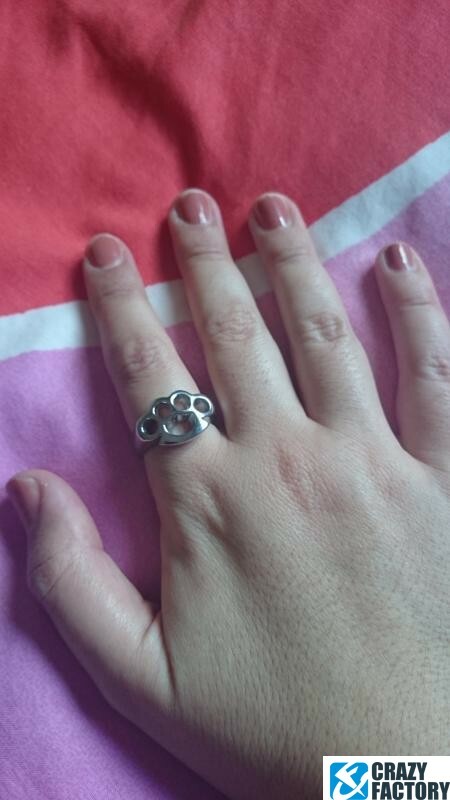 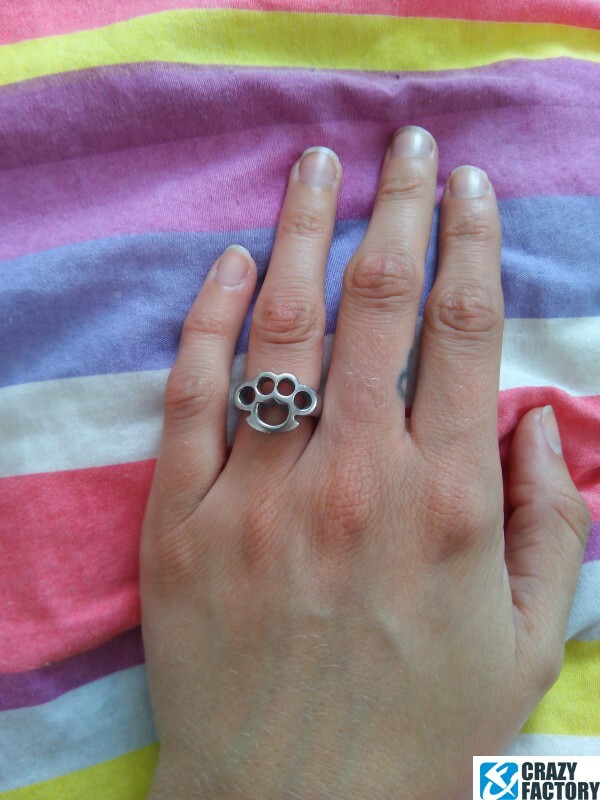 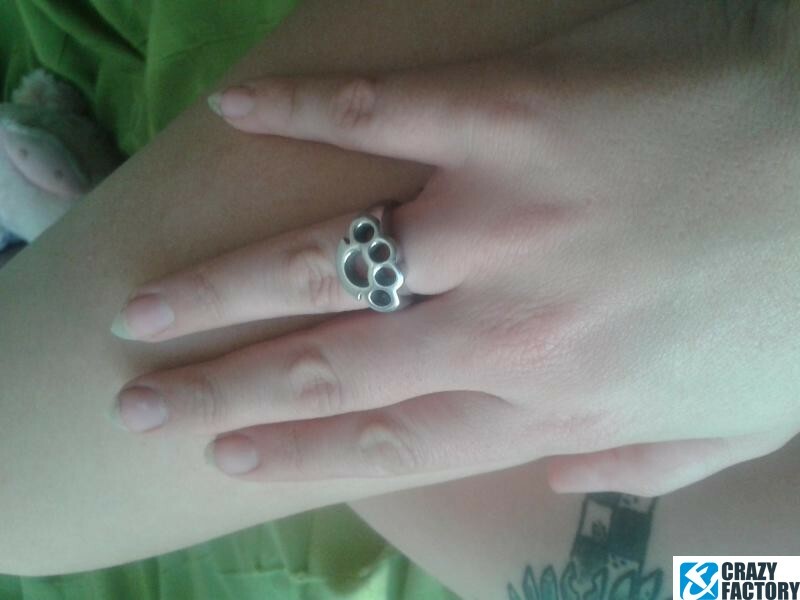 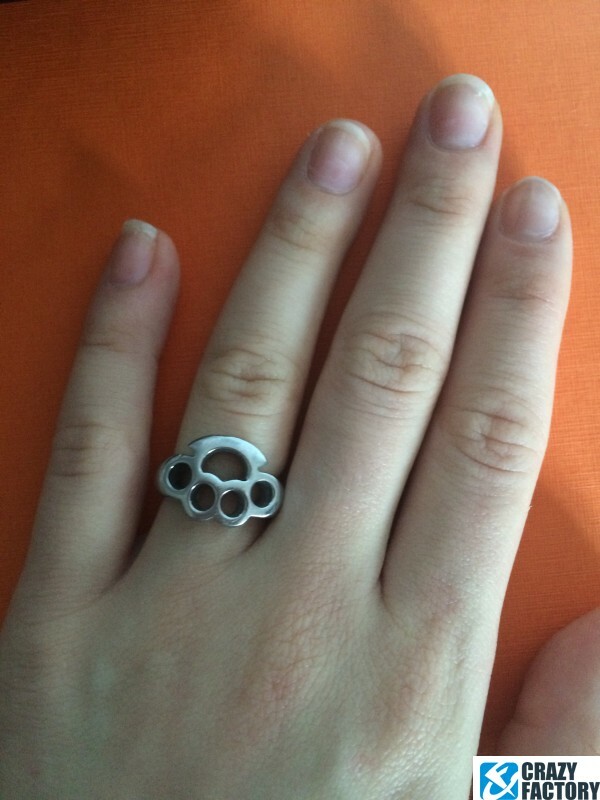 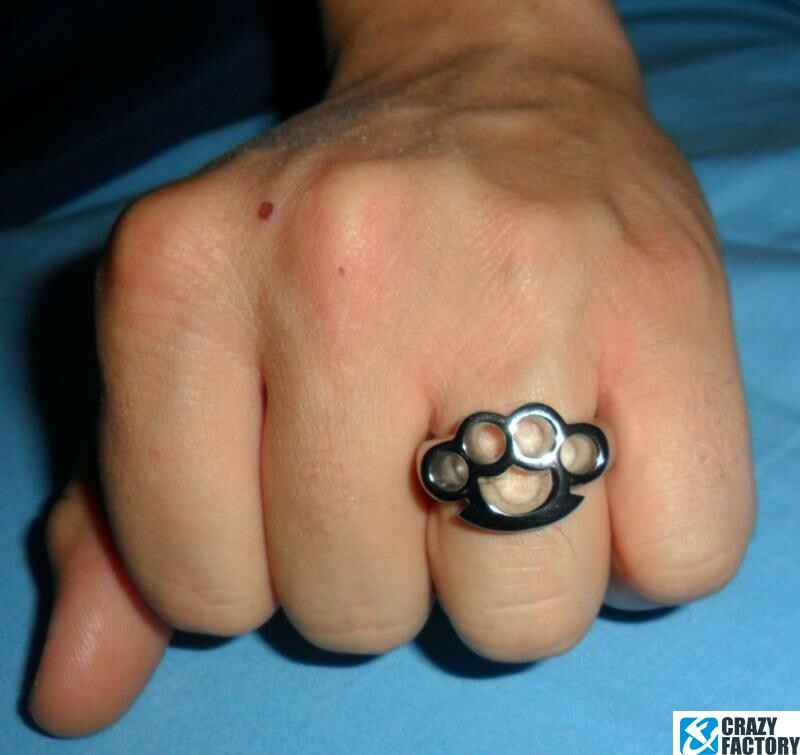 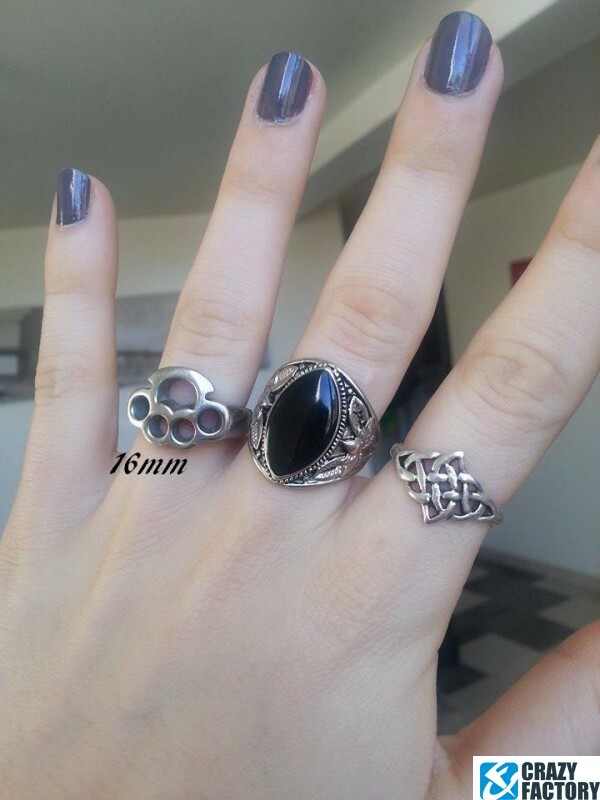 Ring made of glossy surgical steel.